Ottawa – On September 22, Mayor Jim Watson wrote to the Minister of Transport, the Honourable Marc Garneau, to request that further research be conducted on truck side guards and other safety measures that would reduce fatal collisions between cyclists, pedestrians, and heavy trucks. 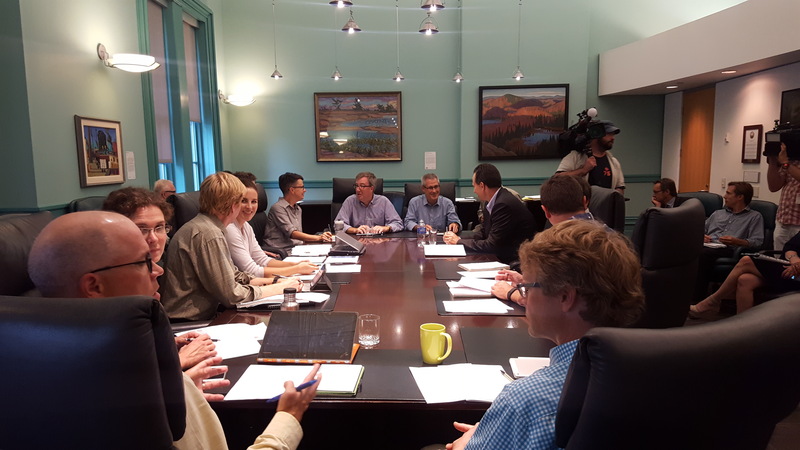 Mayor Watson’s letter was sent following a meeting with key local cycling and pedestrian groups earlier this month, organized with the Chair of the City’s Transportation Committee, Councillor Keith Egli. Today, following a meeting with his provincial and territorial counterparts earlier this week, Minister Garneau announced the creation of a task force to look at measures to increase safety. He also announced the launch of a new Transport Canada study that will examine new technologies that could reduce collisions involving cyclists, pedestrians, and heavy trucks. “I’m pleased to work with my provincial, territorial and municipal colleagues to explore options to reduce collisions and improve safety for everyone on Canada’s roadways. Whether it’s through technology, equipment, or an educational approach, we need to find out what works best in order to improve safety for Canadians.” said Minister Garneau. For more information on the Transport Canada study, please visit this link.